Today our Rufus is 2 years old. The time has gone so quickly. He has grown so fast. A proper little boy. A chatterbox, bright, clever and charming......but then I guess we are biased. Congrats! I hope that you both have an amazing day! Such a sweetheart. I loved when my kids were that age. People say "terrible twos" but I think it's a great age. I look forward to when I have some grandkids that age. 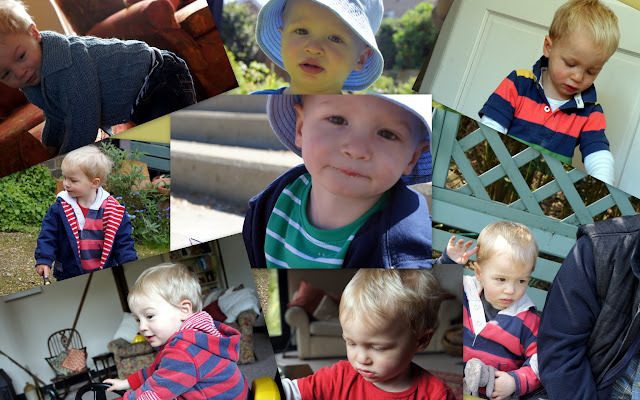 A belated Happy Birthday to a much loved and much cherished two year old. I hope he, Mummy and Daddy, and Grandma and Grandpa - and not forgetting Auntie Rachel - all had a very happy day.